Mother Hubbard Dog Food - Will Dogs Eat Lamb, Spinach, and Apples? 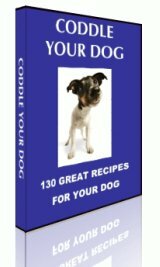 The only reason your cupboard would be bare with Old Mother Hubbard Dog Food is if you cannot keep up with the demands of your pet. This all natural pet food will keep them coming back for more and this is a wonderful thing as there are no fillers, no by-products and no preservatives. Old Mother Hubbard uses the finest ingredients on the market today with high quality sources of protein, vitamins and minerals and everything that your pet needs to maintain their health. Mother Hubbard uses only human grade ingredients that are 100% natural because this company believes that your pet deserves the very best of what life has to offer and they also believe the old adage, "You are what you eat." Along with the home-style recipe foods, Mother Hubbard also offers Old fashioned biscuit treats, extra tasty biscuits, special recipe biscuits, and gourmet pouch training treats. Each of these delicious items is chock full of the nutrients needed for your pet to maintain a shining coat, healthy skin and exceptional over-all health. Treat your pet to Old Mother Hubbard and you will never need to wonder if you are feeding your sweetheart properly. No artificial colors or flavorings, no wheat gluten and no preservatives, it just can't get much better than this.